Tibbals Elementary and Akin Elementary Gifted and Talented students raised money through a "Sticky Business" Project to benefit the Murphy Animal Shelter. Over 50 students raised more than $600 for the shelter. Whitney Rowell is the GT teacher at both of the schools. Each student was on a team that came up with a design made of duct tape. The students made their items then set up a shop to sell their goods. Items for sale included: wallets, purses, bow ties, hair bows and many other creative ideas. 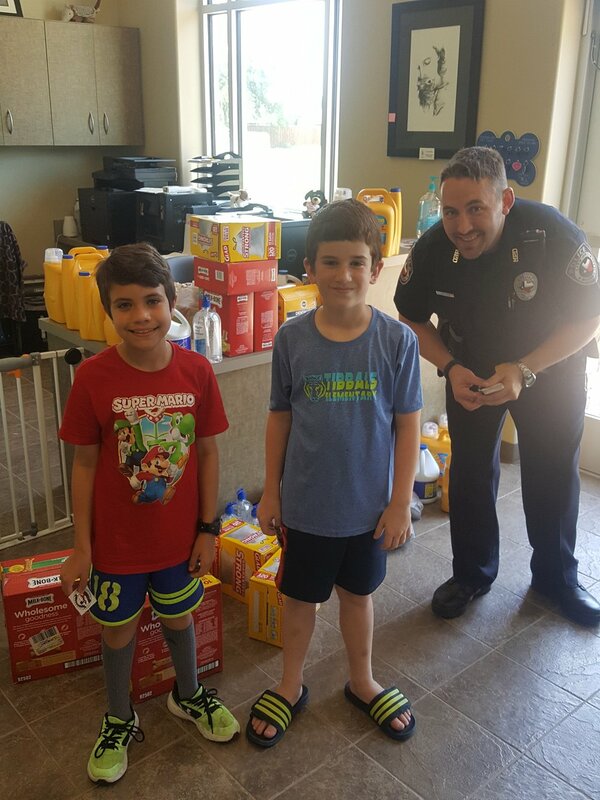 Landon Phillips and Elijah Crenshaw purchased dog and cat supplies at PetSmart then delivered them to the Murphy Animal Shelter with help from one of our Murphy Police Officers.